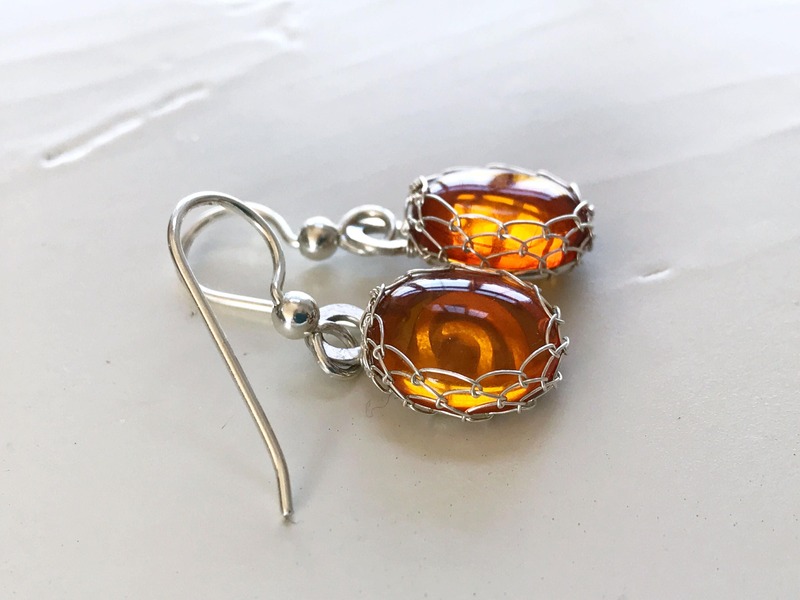 Solid sterling silver and genuine Amber make up these beautiful drop earrings. 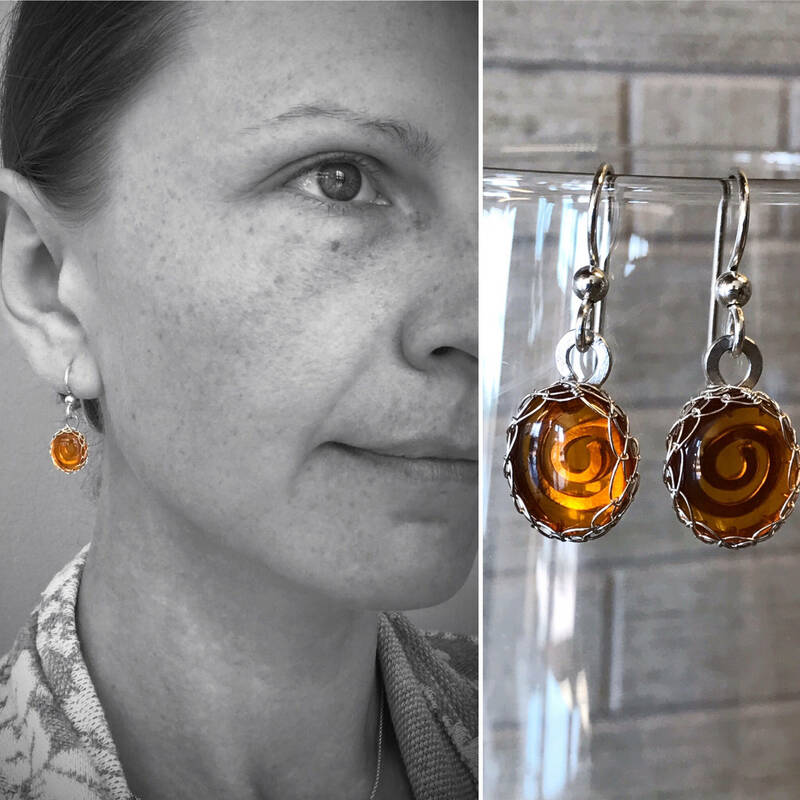 Like drops of honey with their golden yellow orange tones and smooth oval cut shape. 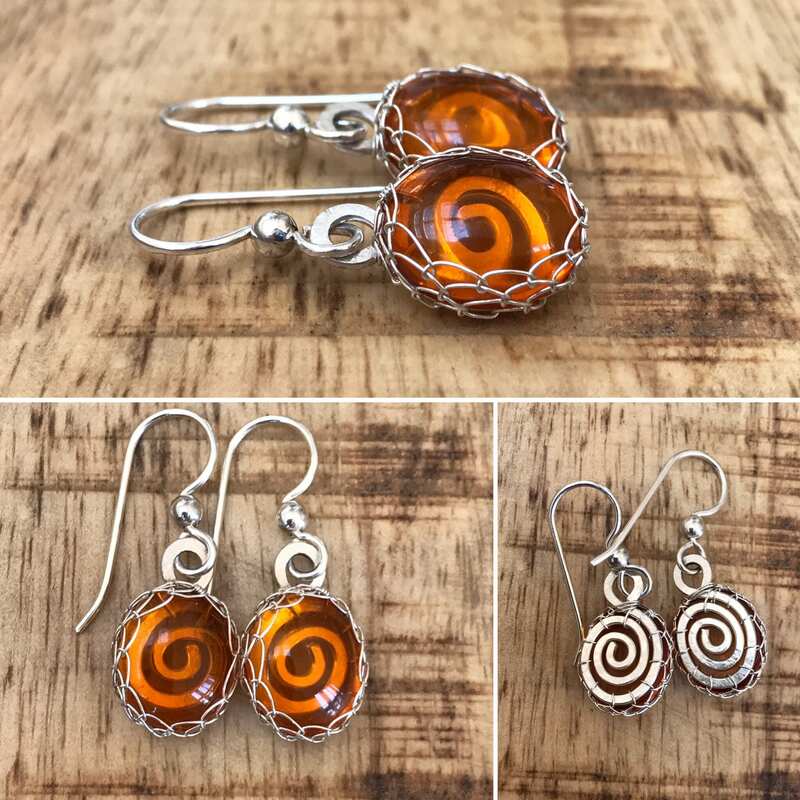 Victorian inspired earring design with a rustic tribal spiral element. 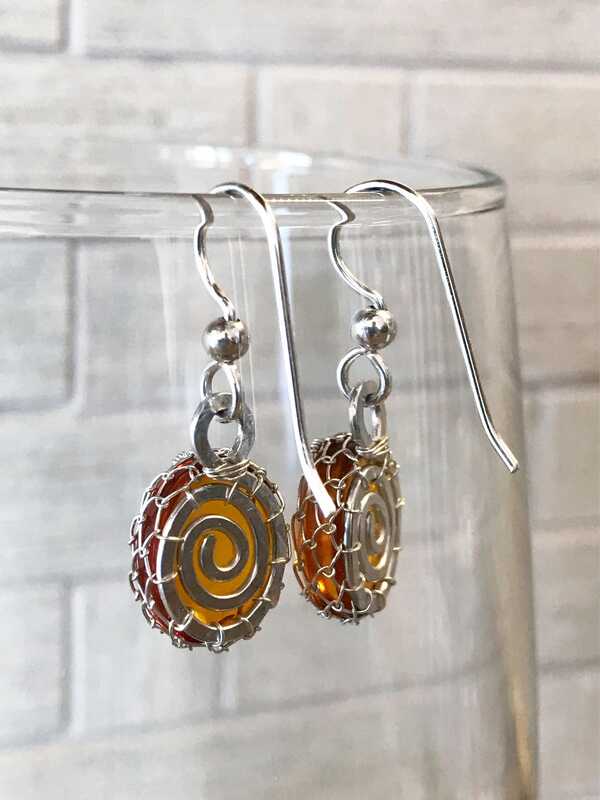 The amber cabs are set on hammered sterling spiral backings which can be seen through the front of the amber, and mounted in a very secure woven sterling bezel. Amber may contain unique inclusions as is characteristic of this gem. 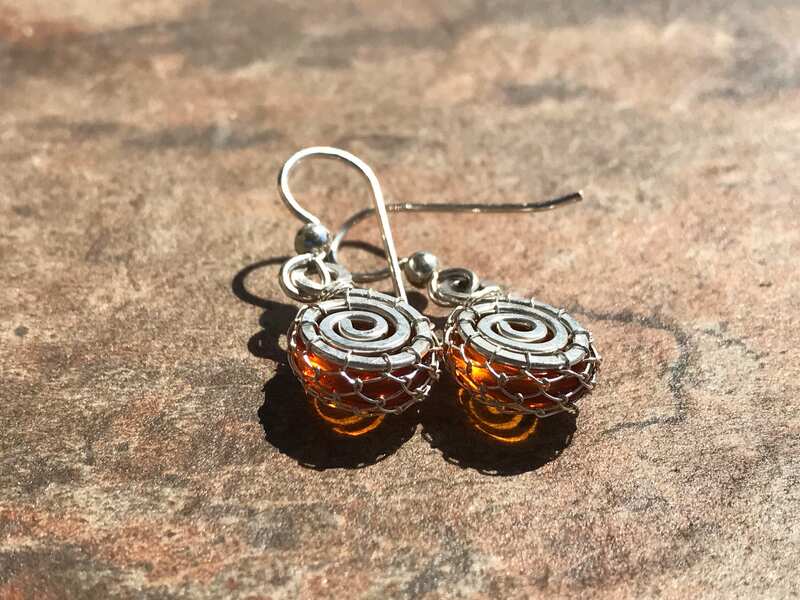 These earrings are made to order, the pair shown in the photos is sold and yours will be created just for you. 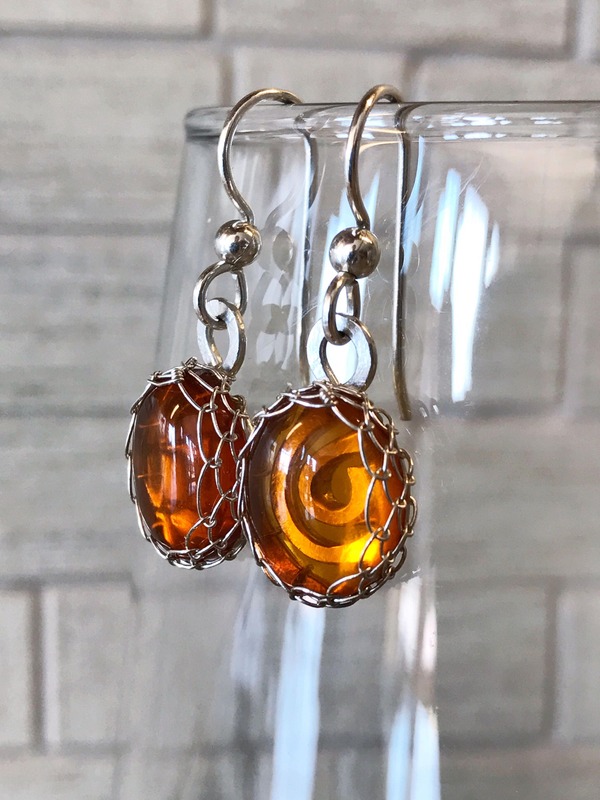 Please allow for slight variances in the color and inclusions of the Amber as this is a natural stone. 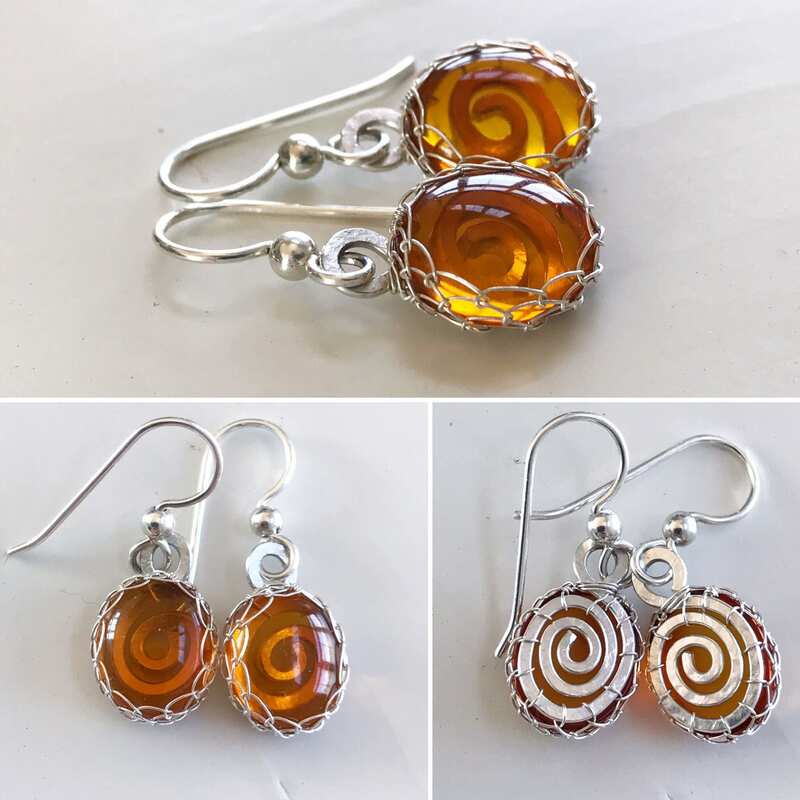 -Genuine smooth amber cabochons, oval in shape, translucent and honey golden orange in color. Each with unique inclusions. 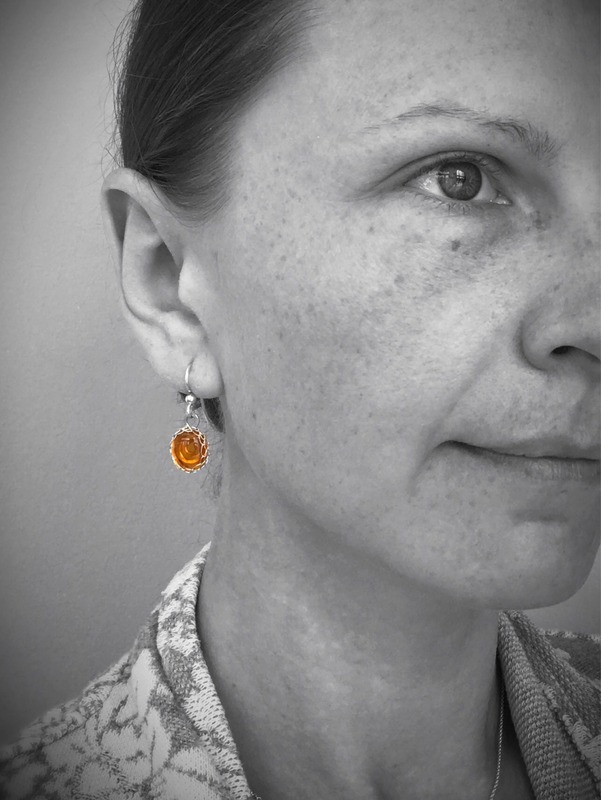 -Please allow for variances in the color and inclusions of the Amber as it is a natural gemstone. -Total length of earrings from top of hooks to bottom of design is 32mm (1 1/4"). -Earring drop length from connecting point at bottom of earring hooks to bottom of design is 17mm (just over 5/8"). 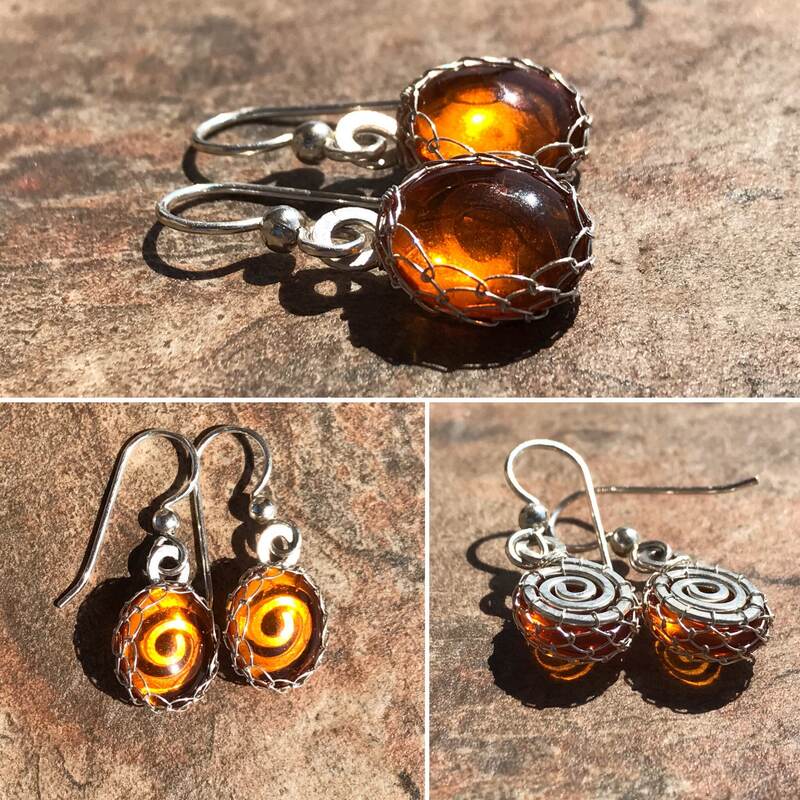 -Amber cabochons measure 12mm (1/2") length (not including the top loop which adds about 5mm), 10mm (about 3/8") width at their widest point, and 6mm (1/4") deep from front to back. 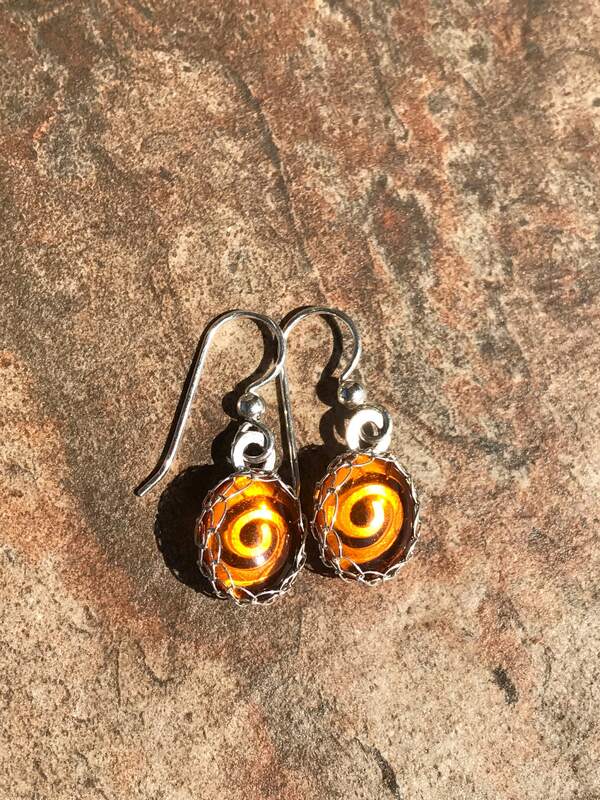 -Sterling silver spiral backing is visible through the front of the amber.